I remember my Grandma Smith who would pull whatever you needed out of her purse. She used to work for an airline company and when she flew, she saved the plastic fork, the jam, and yes, even cheese in her purse. That purse amazed me as a kid! 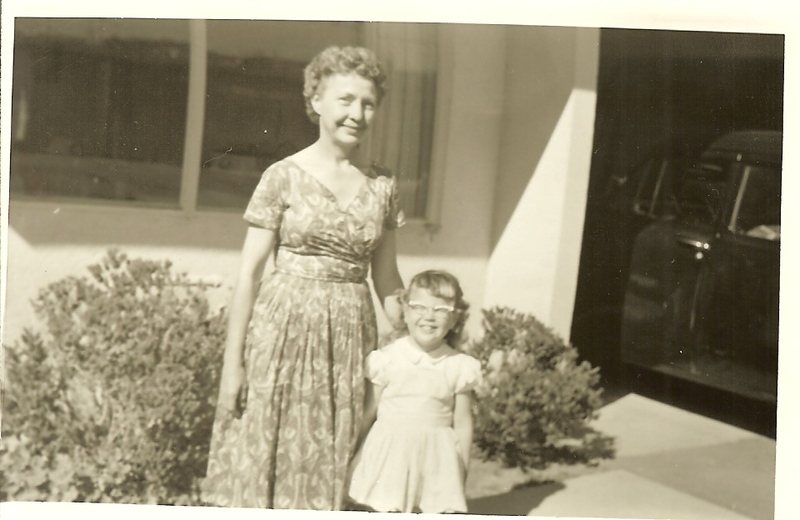 Grandma Smith and me in 1960, Monterey, California. Recently Lindsay Nixon, from Happy Herbivore who writes a Minimalist Monday blog, posted that she was cleaning her wallet. She challenged others to stop what they were doing and join her in de-cluttering this one small area of their lives. 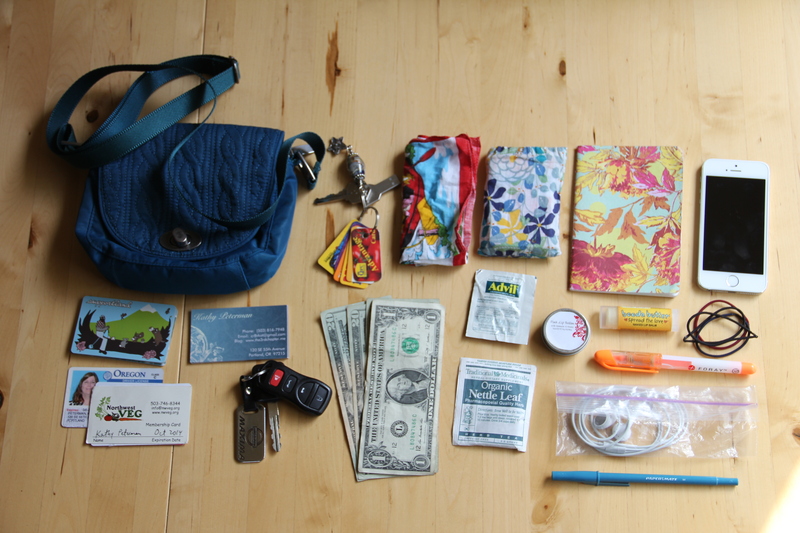 For me, my wallet is part of my purse, so I dumped the whole thing out and sorted through items figuring out what to keep and what to toss. Here’s the final cut of what I am keeping. My Baggallini purse was a gift from a friend for my Camino walk last year and I have loved it ever since! 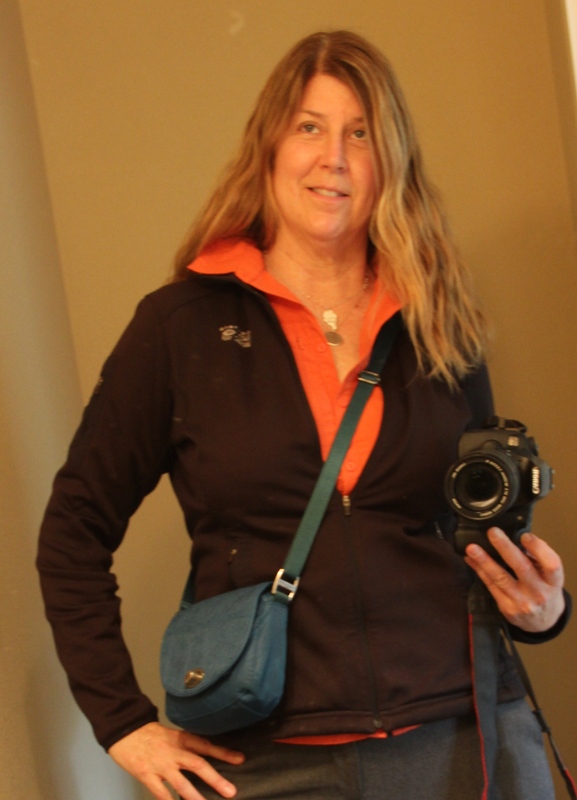 It’s vegan, cross-body (which allows my shoulders to relax) and small enough to not weigh me down, but I have what I need within easy reach! The basic items in my purse. See list below. When I am driving I grab my car keys. 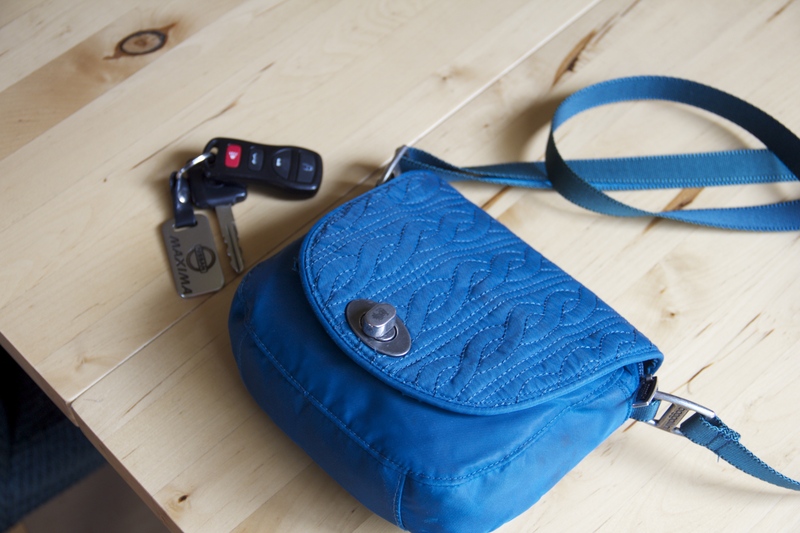 When I am going shopping I have a ChicoBag that I can clip onto my purse. And if I am going grocery shopping, I have those reusable bags for produce and bulk items as well as the bigger bags for carrying my purchases home which I keep in the trunk of my car. I admire my Grandma Smith for being a trail blazer in recycling and hope I have done a good job of taking the clever ideas she shared and making them work for me (minus the cheese). Purse being worn as I go about my day. I LOVE that it is hands-free! Minimalism is about being intentional about what you own. There is no one right way to do it, we each have to create a way that works for us. I am sure there are other ways to lighten my load. Please post any of your own tips or hints below. And while you are at it, you might want to see what’s in your wallet. I keep about the same number of items in the one small bag that I own. I like that it is tiny and does not allow “extra” items to start multiplying in there. I only wish it fit my iPad, so I don’t have to carry that separately! I too have a small across the body bag, well I have a couple, that I made. They are just big enough to get an A5 notebook in, if needed. My contents are similar to yours. I have so many loyalty cards, that I keep most in a stack at home, and just keep about 3 in my card wallet. Most mornings I empty it out and remove any receipts and check I have what I need for the day. Thank you for many inspirational posts! Thanks for the tip on the Keyring App. I will check it out as an App I had (Lifelock) didn’t really do what I expected for loyalty cards.